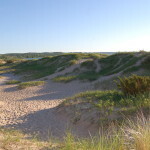 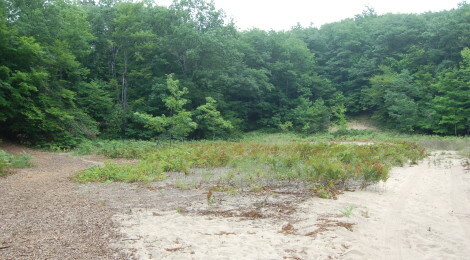 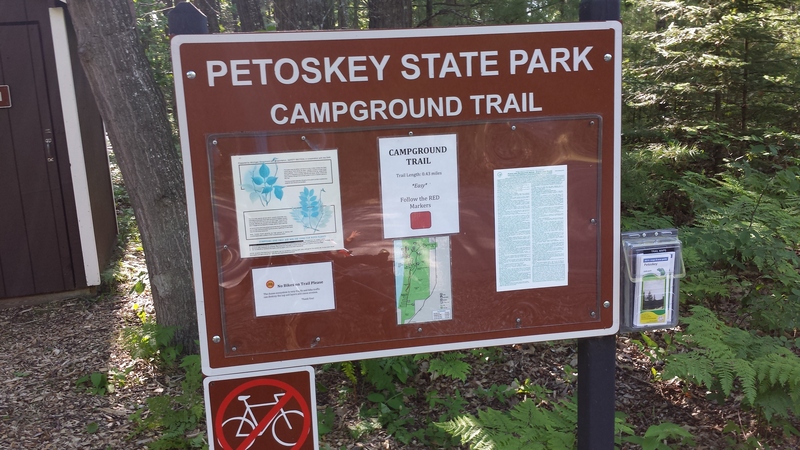 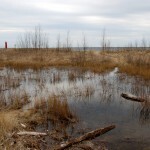 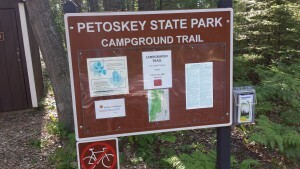 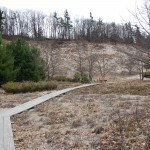 Campground Trail – a half-mile wooded trail that is easy to moderate that connects the Tannery Creek Campground (100 sites) to the Dunes Campground (80 sites). 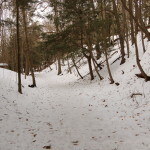 Old Baldy Trail – a half-mile trail that is rated difficult due to its uphill section. 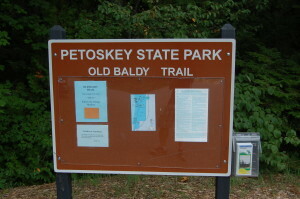 This is the most popular trail in the park. It begins with a staircase heading up the dune, followed by another staircase then an observation deck. 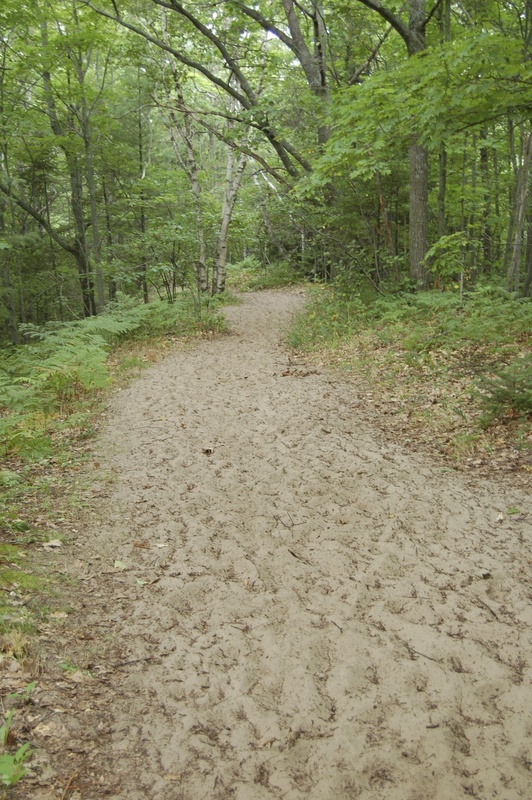 The rest of the trail is the return trip down the dune, though at a much more spread out and gradual incline. 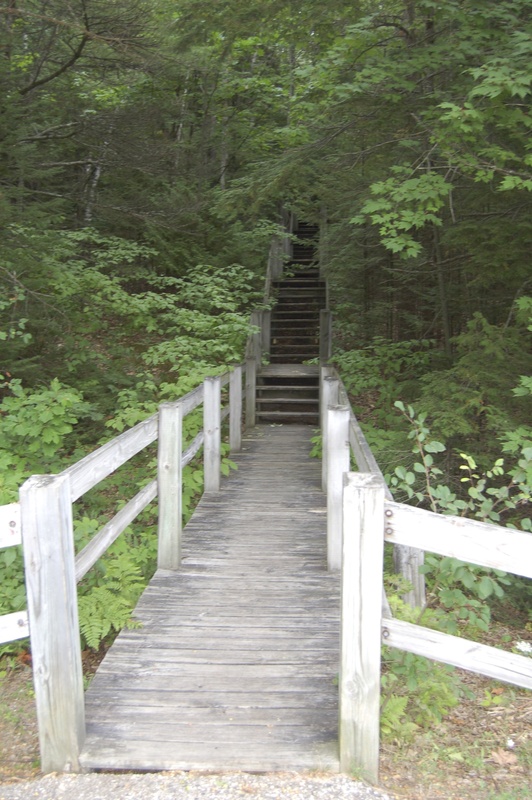 Portage Trail – 1.75 mile long trail rated hard (shorter route marked as easy) that is mostly forested with some steep sections. It is believed Marquette took a path similar to this one to portage his canoe between Lake Michigan and Round Lake. 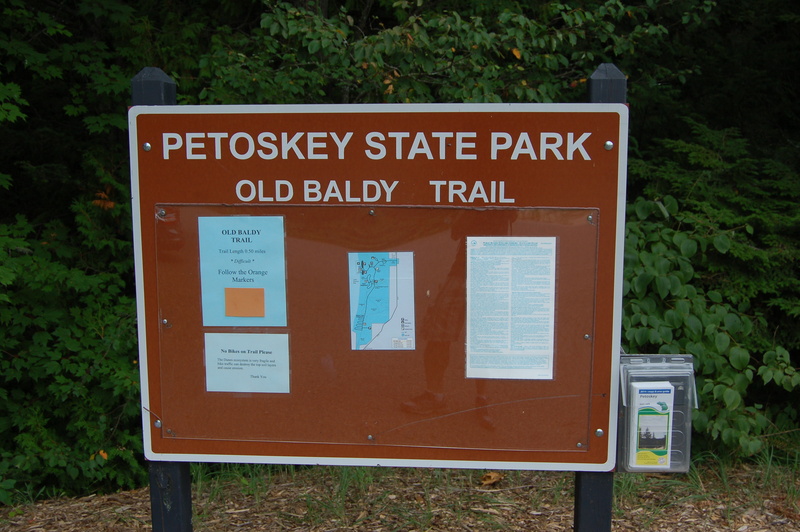 Can be accessed from the Old Baldy trailhead and at the Tannery Creek Campground.